Hardwood Gunstocks by CALI'CO HARDWOODS, INC. Please allow two weeks for personal checks to clear our bank before wood is shipped out. On C.O.D. orders payments by cashier's check or money order only. Prices for F.O.B. 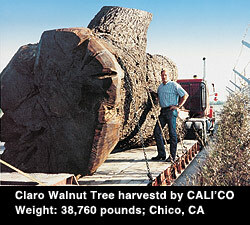 Santa Rosa, CA U.S.A.
All Rights Reserved © CALI'CO Hardwoods, Inc.